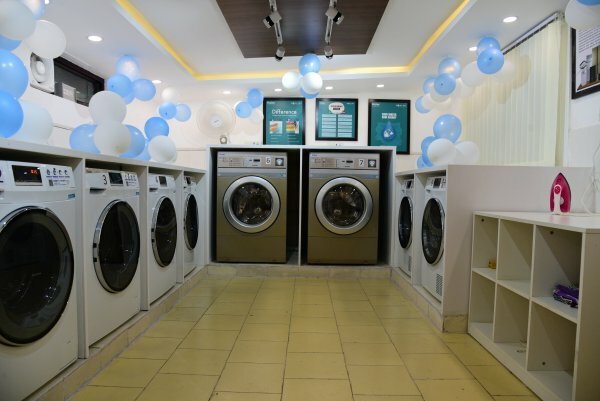 The leading home appliances & consumer electronics brand, Haier has launched today first-of-its-kind Haier Smart Laundry Service in New Delhi, India. The unique Smartphone enabled laundry service is a fully automated IoT enabled implementation. It was installed at the Indraprastha College for Women, Delhi University. This service will cater to all registered students in the campus. This smart Laundary Service will be controlled completely through the “Haier Wash App” and users can reserve, schedule, monitor and pay for the services from their phones. This provides an end-to-end digitally managed washing experience. Each washing machine is connected to the cloud and can be individually managed from the app as explained by Haier. The Haier Wash App will also assist the user throughout the washing process. It will remind them to take their clothes out once the washing is over and will maintain a complete record their laundry usage in the past. With such convenience, users can easily multitask and finish other chores simultaneously while their clothes are being washed. To ensure a highly hygienic washing process, the commercial washing machines being used at the Haier Smart Laundry Service feature a specially developed double sterilizing function. Ozone sterilization and high-temperature sterilization are extremely helpful in avoiding cross pollution and bacteria transmission, thus making the laundry process healthier. Haier is constantly evolving with innovations in the smart home segment to solve the needs of modern contemporary families. The new smart laundry service is a testimony to Haier’s philosophy of ‘customer-inspired innovation’ and is the first initiative amongst many to introduce smart solutions in the future for making people’s lives more efficient and connected as stated by the company in its press statement.